Open Learning Initiative at Penn: what are we doing and where are we going? Over the past year and a half, Penn has produced 24 courses for 1.8 million students, online, for free. Why? Penn took a leap of faith as one of the four founding partners in the Massive Open Online Course (MOOC) platform Coursera. There are now over one hundred partner schools from all over the world participating. From Modern and Contemporary American Poetry, to Experimental Genome Science, to Introduction to Financial Accounting, Penn’s variety of courses has great appeal to a vast audience. As an SAS alumna, it’s incredible to read forum posts and survey reports expressing gratitude just for the opportunity to learn from a Penn professor. Bear in mind these courses are not for credit. Participation standards and passing grades are set by the Professor and teaching assistants, and the remarkable community of students usually solves their own quandaries before one of us has a chance to notice. The global community of students, driven to take a Penn course because it’s a Penn course, or because of the subject matter, or just for fun, is what creates the learning environment. And that’s pretty remarkable. The on-campus impact is also remarkable. Edward Rock: “Our partnership with Coursera is a piece of a much larger initiative for innovation in teaching here on campus. The internet changes everything it touches, and we are only beginning to understand how it changes how we educate students.” We are creating content for online consumption. But what happens when professors give the content to students before their on-campus classes, and spend class time on interactive activities? Researchers at Penn are working on exactly that. In future blog posts I will discuss that research, interview faculty members teaching open courses on Coursera, and provide more updates and insights as this landscape continues to rapidly change. 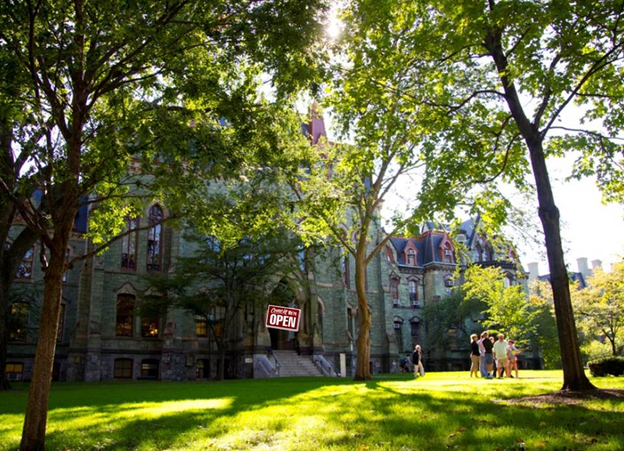 For more information on the Open Learning Initiative at Penn, please see our website and follow us on twitter!